Irish doom behemoths Mourning Beloveth have confirmed that they are working on a new album, to be released this coming winter via Ván Records. The Irish heavyweights are putting the finishing touches to the writing of the 50+ minute opus which will be recorded at Skyhammer Studio in September. The album, which will be titled ‘Rust & Bone’ is the follow up to 2013’s ‘Formless’. The album release will coincide with a European tour with Hooded Menace, finishing up at the legendary Eindhoven Metal Meeting. 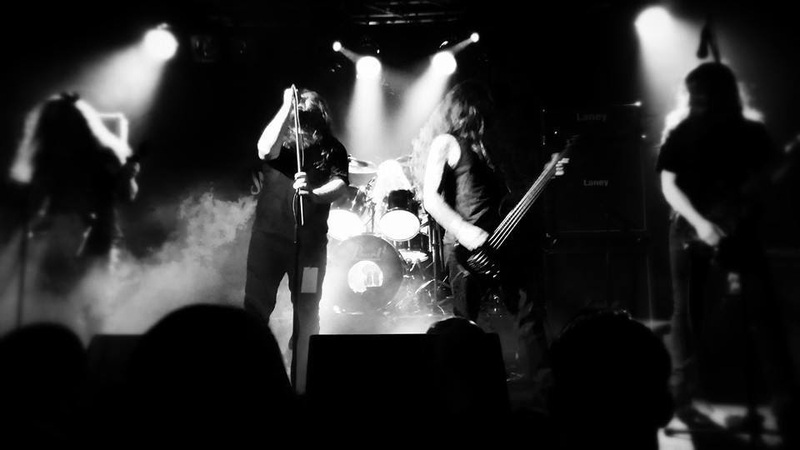 The band will also be playing a Halloween show in Dublin on October 30 – “Fires of Samhain:Intium”, with Destroyer 666, Necros Christos, Dead Congregation and more – where they will play ‘Formless’ in full, to mark the end of that album’s life cycle, before unleashing their new offering. Mourning Beloveth have notched up five full-length releases in their 23 year history – once described as “both malevolently evil and bizarrely beautiful, a balancing act of some consummate skill” by Kerrang! magazine – as well as gaining a reputation for evocative and at times sombre live performances.